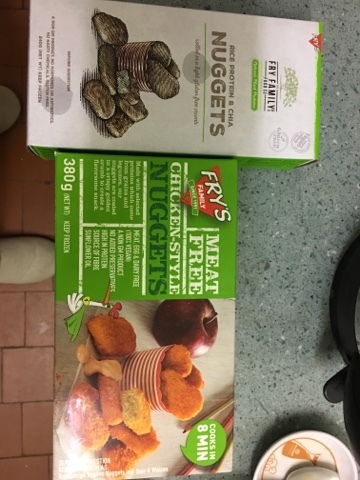 Vegan Christmas foods are always a challenge, as part of an Ocado deal we bought a series of things that will be used, but also had some space in the deal for these nuggets. Being completely vegan they are free of all the things that usually would be bad for you and probably actually quite healthy. 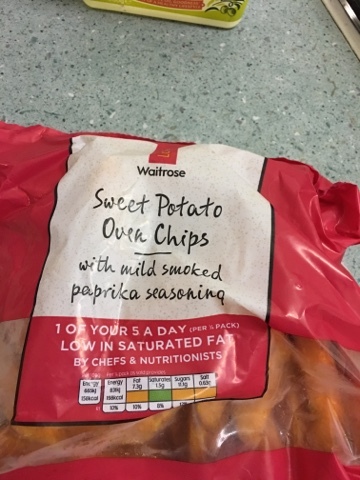 We had them with the classic sweet potato oven chips. All the oil and salt is provided so you just have to bake. And here we have the complete meal. 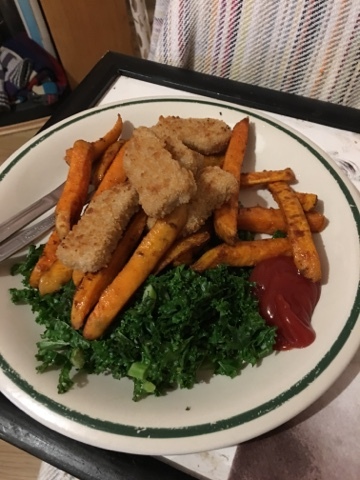 Not quite Christmas Day, but with a pile of Kale we have a reasonable approximation of chicken nuggets and chips for a fraction of the unhealthiness. And the oddest part is that actually it doesn't taste all that different - even the texture is similar! Worth a try, as with all of the Fry's options.